Pan-Seared Tilapia w/ Roasted Squash Salad — Happy Food Co. ARRANGE the butternut squash in a baking pan and drizzle with the contents of the olive oil packet. SEASON to taste with salt and pepper and toss gently to combine. ROAST until the butternut squash is lightly browned and fork-tender, about 15 minutes. PLACE 3 medium bowls side by side and add flour to the first bowl. ADD the panko herb mix to the third bowl. SEASON the tilapia fillets generously with salt and pepper. 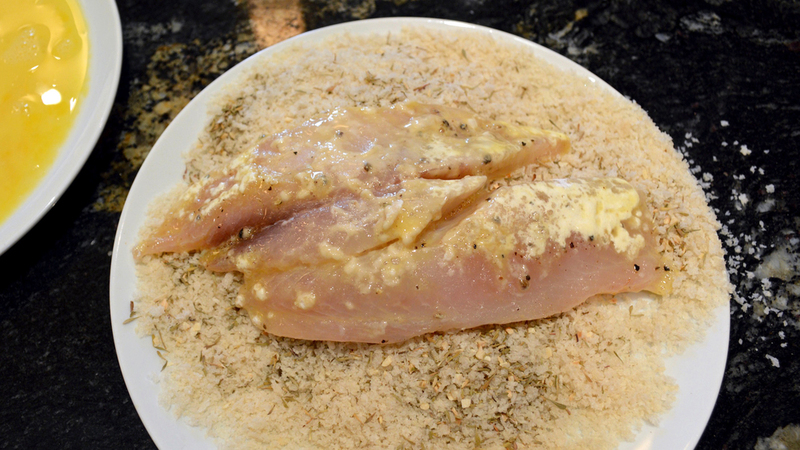 COAT both sides of a tilapia fillet in flour, shaking off the excess. Then coat both sides in egg followed by a generous amount of panko herb mix. REPEAT with second tilapia fillet. WARM the butter over medium heat in a large non-stick skillet. COOK each side for 5-7 minutes until the breading is golden and the tilapia flakes easily with a fork. 4. PREPARE THE SALAD, SERVE & ENJOY! TOSS the spinach, chives, pumpkin seeds, parmesan cheese, vinaigrette and roasted butternut squash in a large bowl. CUT the lemon into rounds on cutting board and squeeze over the tilapia. SERVE fish with the squash salad and enjoy! ★ TIP: Please recycle your dinner kit packaging. Our containers are compostable and made from plant-based materials. 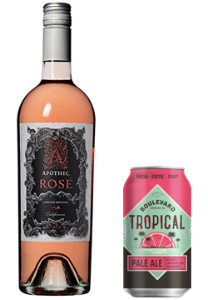 Offers layers of strawberry and watermelon with a hint of raspberry, for a refreshing wine that’s light in color, yet dark in nature.